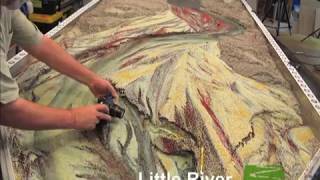 We offer two types of modeling media: Non-Color Coded and Color Coded by Size. Our modeling media is made of recycled, ground melamine plastic. It has a density of 1.6 g/cc, about 60 percent the density of quartz sand, which means it demonstrates river processes with impressive accuracy on compressed scales of space and time. The media is lightweight, easy to transport, won’t damage pumps, and is much easier to clean than sand and other quartz materials. 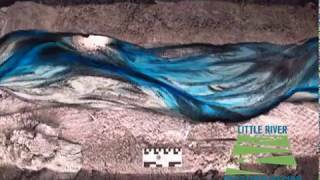 Our color-coded media mixes have a range of colors and sizes that allow for easy view of sediment transport processes. This media comes standard with the Em4 and can be bought as an upgrade to the Em2 and Em3 models. 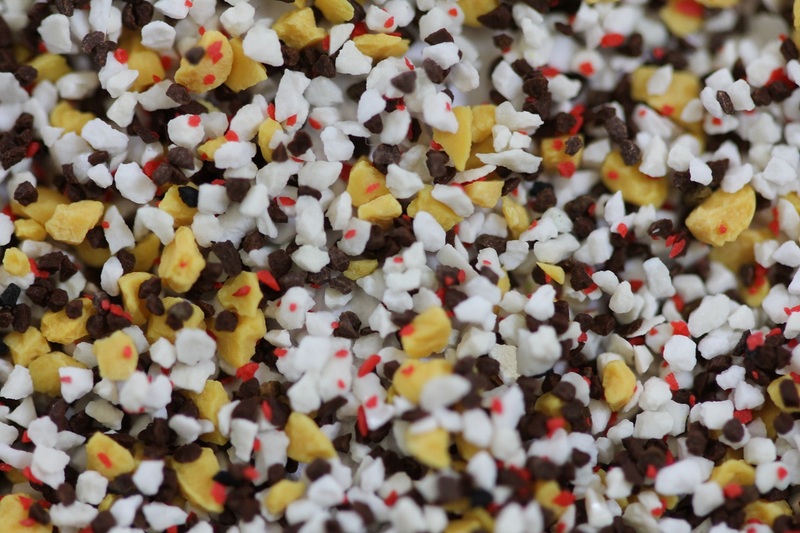 We will help you decide what size mix is best for your needs. 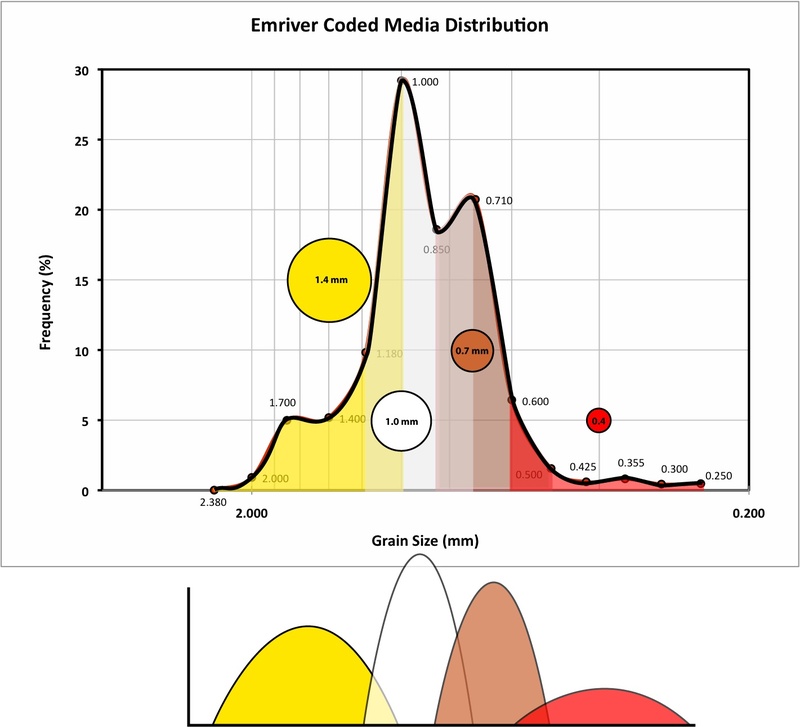 Non-color-coded Emriver modeling media comes standard with the Em2 and Em3 models. 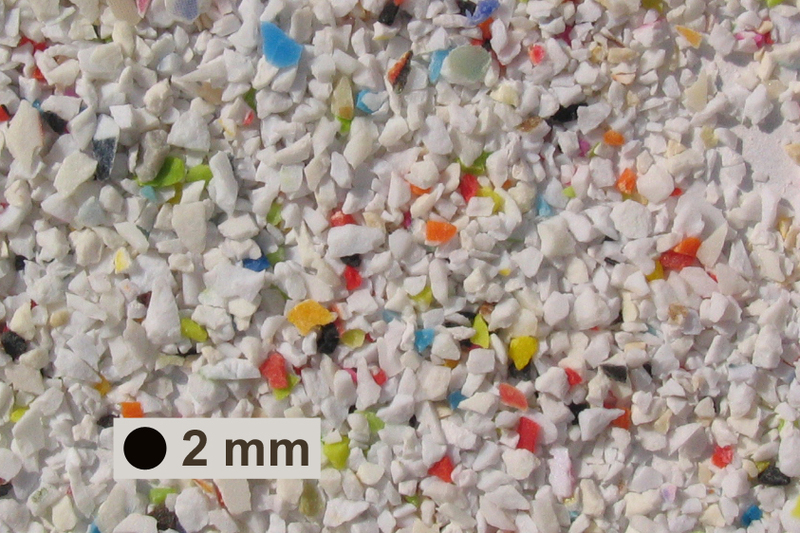 Media particle sizes are between 0.4 mm and 2.0 mm. 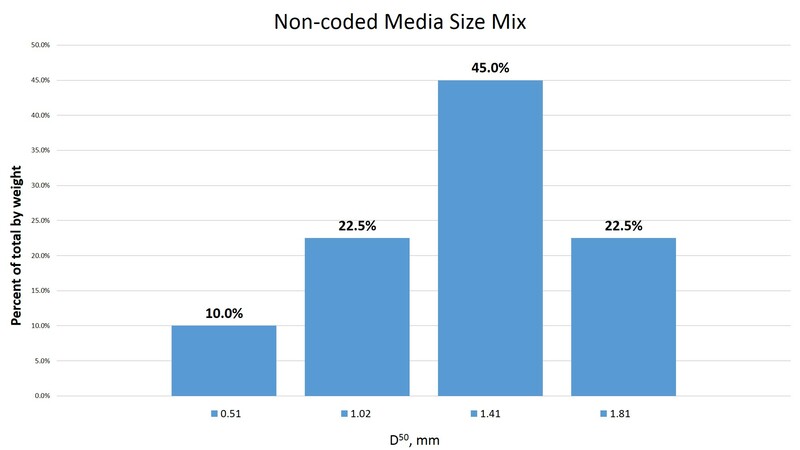 We can help you determine how much of our media you would need to fill your own stream table. Please contact us with the dimensions of your table.